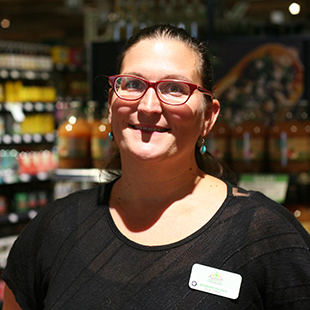 Barbara Villella wants everybody to have access to healthy, affordable, local foods. Especially people who struggle to put food on the table. 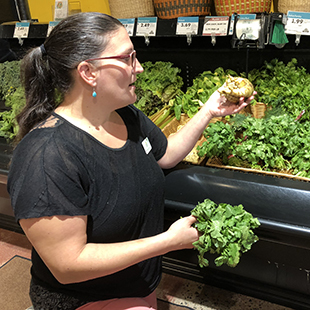 As an AmeriCorps Vista volunteer at Prairie Roots Community Fund, she seeks out partners who are willing to match SNAP benefits at the downtown food cooperative and area farmers markets. This gives SNAP recipients twice the buying power. She advocates for reforms to WIC, a nutrition program for women, infants and children, that would allow users to choose organic food. Barbara’s enthusiasm for healthy eating belies her own reality. She is one paycheck away from needing food assistance, too. Barbara’s most recent bout with food insecurity came about a year ago. In September 2017, her vehicle was t-boned while she was leaving the Twin Cities metro. The accident left her with four broken ribs, a broken scapula, a bruised lung and a concussion. A month later, she was assaulted by the man she planned to marry. While her body and brain healed, her luck turned even worse. Prairie Roots eliminated her full-time customer service position in March for business reasons. Because of the assault, Barbara and her daughter moved to a new home. Her injuries made it difficult to secure another full-time job. Unemployment benefits helped a little as she interviewed for dozens of jobs. Her working 18-year-old paid some bills. 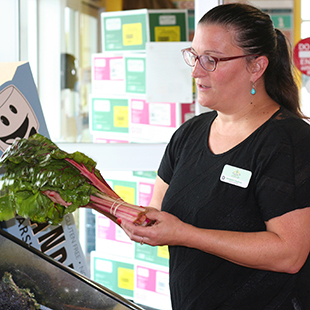 To help put meals on the table, Barbara visited local food pantries. Without that access, she would’ve had to make some impossible choices. “Without food pantries, my cash would’ve paid for food instead of other needs. I would’ve had my lights shut off. No phone. No electricity. No water. Would I have lost my housing? Probably,” Barbara says. 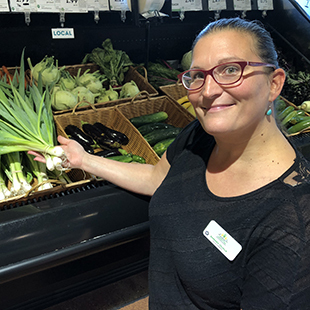 The food assistance got her through a tough time, but Barbara is aware of the stigma that accompanies those who need help feeding themselves and their families. “People always wonder: what did you do to put yourself in that situation? That’s why I was embarrassed to go (to a food pantry),” she says. And yet, the boost was crucial. One time she waited in line for two-and-a-half-hours because she needed eggs. She learned to cook creatively to make the most of the items she received at food pantries. It can be little things, or a series of little things, that move a person from a bountiful table to food insecurity and back again. Three months after losing her job, Barbara was offered the Vista volunteer role. She receives a stipend, health insurance and an educational grant. By July she also secured a part-time waitressing job. She no longer visits food pantries. Barbara is working to become financially stable, but recognizes how close she teeters to the edge of disaster. Her vehicle is reliable, but old. She pays her bills, but doesn’t have extra funds for medical care or broken eye glasses.